Creator – I had a thought the other day and I wanted to share it with you. Sometimes, when we are asked to do something we really don’t want to do, some of us say yes, rather than remaining true to ourselves, with the simplest of 2 letter words, NO. This common mistake of putting other’s desires before our own, is something most of us have been taught since childhood. So, how about this thought, to help nip this ridiculous habit in the bud? 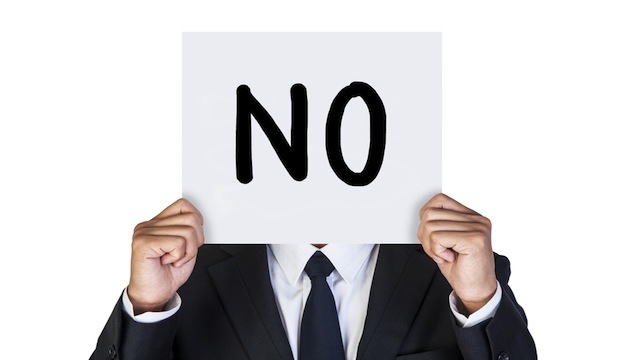 When you say No to a request from anyone: kid, spouse, lover, friend, client, neighbor, door-to-door salesman, boss, who-the-heck ever, you’re actually saying a loud YES to YOU! That’s right, in this instance, No really does mean Yes! Now all of you out there who still have a compunction to negate your truest desire because of guilt or some other nonsense, this is your get out of jail free card, literally! Beginning right here, right NOW, you can free yourself from this outdated, was never cool anyway, kind of thinking. You know what I tell people who are serial helpers of others to the detriment of themselves? That when your life is filled to overflowing with everything you have ever desired, then by all means, take some time to offer a service or 2. In the meantime, check this out, it’s always the same people asking, and once you begin to assert yourself, for yourself, they’ll stop and go find the next sucker (brutal yes, but I’ve been there and speak from experience) to sink their teeth into. You are not the last bastion of helpers. There is always someone ready, willing and able to take the burden! At first, your folks might be confused by your answer. “Say What?” “Did you say no?” that type of thing, but when you stand your ground, your fertile ground, knowing you are listening to your Inner Guidance not the outside whine of others, your life will become sweeter. Promise. So, repeat after me Creator. When someone asks you to do something that you don’t want to do. What’s your answer? And if you’re feeling like you want to add a Thank You at the end, well by all means, go right ahead!